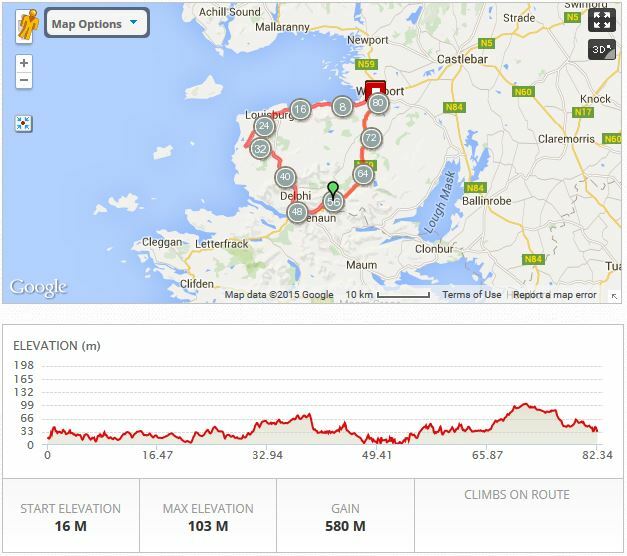 This route starts and finishes at the same place, The Towers Bar and Restaurant, The Quay Westport. 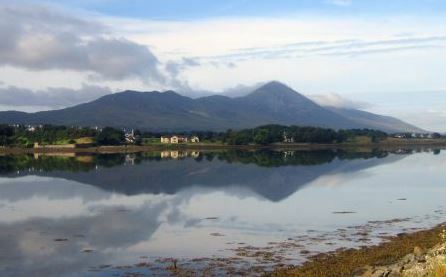 The 80km cycle should be accessible to all leisure cyclists, it sets out from the bustling town of Westport and heads west along the R335 taking in the breathtaking views of Ireland’s famous mountain Croagh Patrick on the left and the 365 islands of Clew Bay on the right. The route passes through the scenic small town of Louisburgh continuing along the coast toward Killeen where cyclists will take a left towards Cregganbaun. This where you will hit your first effort so watch out, its a nice little hill/drag to test the legs. 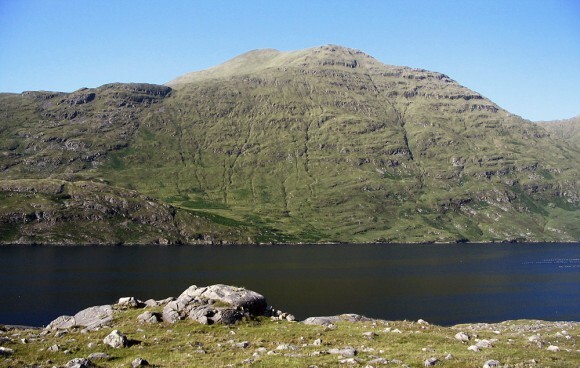 You will then take a right onto the R335 (main Louisburgh to Leenane road) and continue south towards the spectacular and picturesque Doolough Valley. Before the valley, you will get a well-earned food stop at Glen Keen Farm which is at the 35 km mark. After you refuel at you will travel another 12 km along Ireland’s only fjord “Killary Fjord” where majestic views await leading to Ashleigh Falls before turning left onto the N59 towards Westport. From here it is only 30 km to Westport, you will cycle through the Erriff Valley, where the film “The Field” was filmed along the banks of the Erriff River. The last effort of the day is a nice long drag/hill as you enter Cushlough village on the way back to Westport. Digg deep Tadhg! You will enter Westport town from the Leenane road. Turn left down the Quay Hill towards The Towers Bar and Restaurant, The Quay Westport. This is a neutralised area (so you must reduce your speed) in which there will be a cycle lane on the left hand side of the road for Westportifiers. Please be careful and vigilant as Westport will be very busy with traffic and tourists. A warm welcome and refreshments are awaiting you at the new Westportif Food Village where you can reflect on a great days cycling. 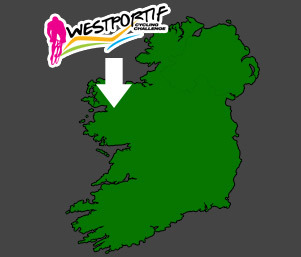 Rest, rehydrate, refuel and then get your dancing pants on, the town and amazing nightlife of Westport awaits you.